“Star light, star bright, first star I see tonight. 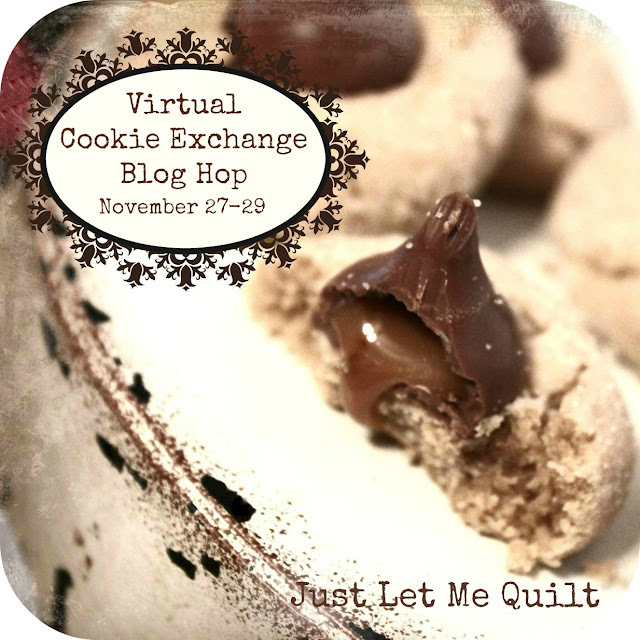 Welcome to the Wish Upon a Star blog hop. 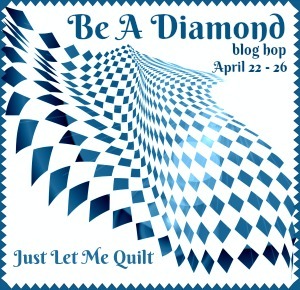 Thank you, Carol from Just Let Me Quilt for organizing this blog hop! We’re going to have SO much fun visiting the blogs and doing some star-gazing. So are you ready to visit the stars? One of our favorite star quilts is the elephant quilt that Susan made for a special little boy. Susan started with our classic African elephant pattern (which coincidentally is the top seller in our little shop) and enlarged him to be the center of attraction (star of the show!). For inspiration, Susan used an adorable jelly roll from Riley Blake, along with some fabric yardage for the easy-to-piece border which highlights our elephant star! Wouldn’t he be great for a nursery! Mariner’s Stars are one of Sharon’s favorite quilt blocks, so it was only natural to use a foundation paper pieced Mariner’s Star on our ocean themed “Reef Explorer” quilt. We love the way the colorful stars enhance all of the creatures of the sea! Sharon used bright red, blue, yellow, green, and orange fabrics, mixing them up to make the twelve Mariner’s Star blocks for her “Reef Explorer” quilt. Susan, as always, took her quilt in another direction. She used four blocks each of Mariner’s Stars, steam punk submarines and Storm at Sea blocks (which, using her color choices, looks like yet another star). Speaking of Stars, have you seen our rock-n-roll stars on the Wild Bunch quilt? Fun star fabric is the highlight for our splendid safari singers! Of course, Christmas is the perfect occasion to pull out fabulous star blocks to offset any design! Santa and his helpers are getting ready for Christmas. Finally, here’s a sneak peek at a starry quilt that Sharon has been creating. In case you’re wondering about the “M”, Sharon’s quilt features her beloved Montana State University’s blue and gold school colors. You’ll have to wait for a while to see the finished quilt, but you can see a few of the blocks today! Guess what! We’re offering a giveaway for the “Wish Upon a Star” blog hop. Update: Congratulations to Rosalind G, the winner of a copy of our “Mariner’s Star” foundation paper piecing pattern (shown below). Thank you to everyone who participated in the giveaway! Thank you for visiting our blog! 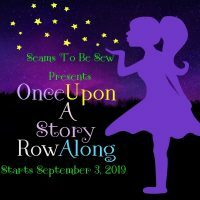 Please make sure you visit the other bloggers that are participating in this blog hop, and remember- always wish upon a star! Previous Post Zoom into Summer Fun! 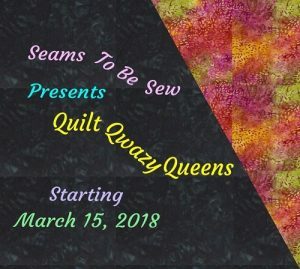 Next Post Quilting Tips and Tricks! Well, I just love all these projects, but I especially love the blocks. That Mariners Compass alone is absolutely stunning. 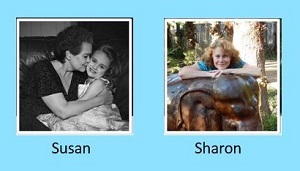 So great to see both of you doing such fun and whimsical projects. I absolutely love the Mariner’s Compass! Thank you for sharing all of these projects. I also love the Mariner’s Compass! Great projects! What great projects! I really like the two sea scape ones. All your patterns are wonderful! Thanks for the giveaway opportunity! Wonderful quilts!! Love your Mariner’s Compass…just beautiful!! What a wonderful star studded collection of quilty loveliness. Wow! So many beautiful quilts! I especially love the ocean theme ones. Great star blocks, and projects. very cute quilts and I love your mariners star in particular. So many cute designs. I, too, love the elephant with all the stars. So many great stars, but my favorite is the mariner’s compass. I always love those! Susan’s Mariner Stars are wonderful, and using 4 in the quilt makes them stand out as so special. Mariner’s Compass, that was the inspiration for my blog name, after a very dear, older friend who was in HMS, in WW2 in the Navy. I am at ” All Points of The Compass”. Cheers from a very wet and cold New Zealand. When I saw the “M” for Montana State with the blue and gold, I thought turn that puppy upside down, add a “V” and “U” and you’ve got WVU – West VIrginia U – my alma mater. I adore all the stars. What a great display of the vast array of stars. I am a fan of stars. Someone will be happy to have the Mariner’s Star pattern. It is beautiful. Thanks for participating. You sure could do that to make a WVU quilt! Same school colors too. Thanks for stopping by, and for your sweet comments. Those stars are all amazing. It would be hard to choose a favorite. You’ve shown lots of star inspiration here! Beautiful work. Oh my goodness, I don’t know which one I like best. I have so many stars in my eyes. Great inspiration!! So many gorgeous stars! I especially adore the Mariner’s Star! Love all of the star projects, so adorable! Thank you for sharing! The colors and placement of the colors make this star a stunner! Your quilts are so pretty! Love the designs and the beautiful prints.